Based on the ancient principles of Tai Chi and mindfulness practice, PAUSE brings the act of focused attention to your mobile device. Using a patent-pending technique and a unique approach to modern technology, you can easily start the journey to relaxation – anywhere and anytime. 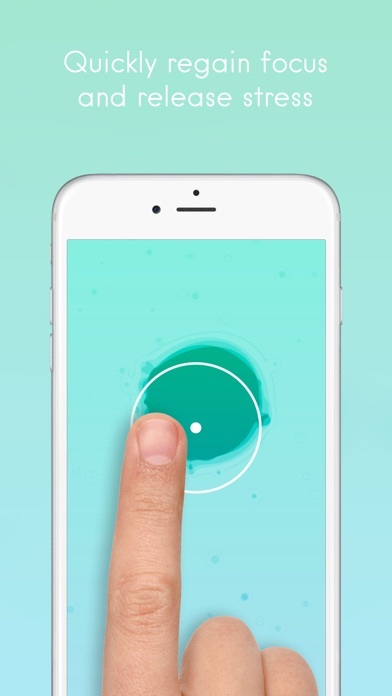 By slowly and continuously moving your fingertip across the screen, PAUSE triggers the body’s ‘rest and digest’ response, quickly helping you regain focus and release stress within minutes. 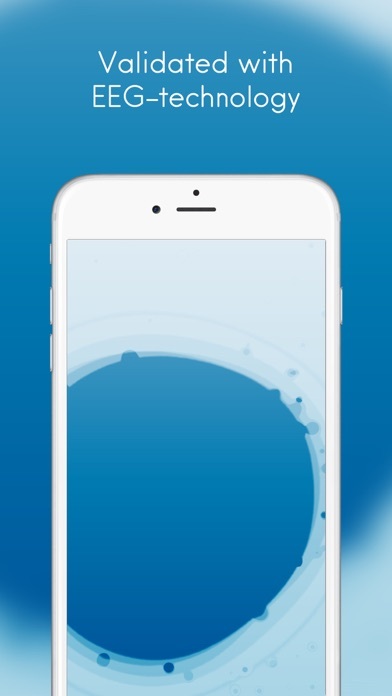 The calming audiovisual feedback in the app is designed to help you keep your attention and focus in the present moment. Throughout development of the application, PAUSE has been continuously tested and validated using EEG-technology. What is PAUSE? ∙ A new digital approach to ancient meditation practices (patent pending) ∙ An interactive tool to quickly regain focus and release stress ∙ Scientifically tested and validated with EEG-technology ∙ Available anywhere and anytime PAUSE is a collaboration between digital product studio ustwo and Danish mental wellness company PauseAble. A simple and efficient way to reset your mind, for the price of half a cup of coffee. Just don’t expect it to do anything it doesn’t do. Waste of two perfectly good George’s. WTAF? Total bs and a waste of money. This app makes it easy to meditate and is super relaxing. Only complaint so far is it needs to be able to go full screen on iPhone X and above. Looking at black bars on top and bottom is aesthetically unpleassing. And with you’re eyes closed if you move your finger over the bars then it stops the session. Simple but effective for me. I do wish there was more option in color and sound choice. At least color. I find this helping as a grounding method before/during anxiety attacks because it forces me to focus on moving my finger with the dot in a precise fashion, so it changes my minds focus. But please update for iPhone X if you can. Thanks! Wonderful and mindful moment of clarity. 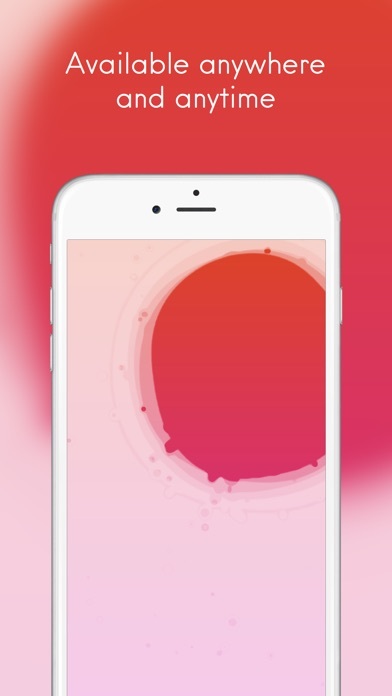 Starts off with a lava-lamp looking blob that you move around the screen, then as you get the hang of it the blob fills the screen and you close your eyes to relax. Really great. Nice to destress for 3-5 minutes when things get overwhelming. As of this writing (Jan 25, 2018), the app has not been updated for iPhone X. Still functions, but it isn’t the full screen. Hopefully they will update it soon!? I find the app really lovely. The initial blob is not something you’re following so much as something you’re leading. The aggregating color helps bring my focus to the session. Once the screen was filled with color, I began exploring the colors. The first time it filled with a gradient from blue to green to gold to orange from bottom to top. 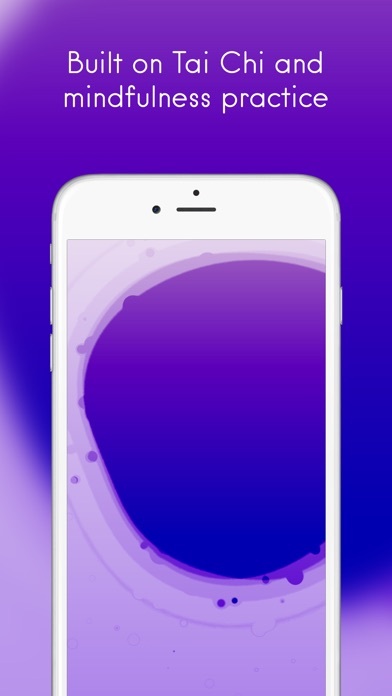 I found myself exploring these gradients and the way the direction of my motion changed my perception of them and how my finger obscuring parts of the gradient would make different colors stand out. This was all surprisingly engaging. That said, there are a few things this app really needs to rise to the next level for me: 1) Some sort of audio or haptic feedback for when you’re moving too fast. It instructs you to close your eyes and then puts feedback on screen in text. :\ 2) Update to support the full screen of iPhone X. Seeing black bars is distracting and using the full screen of the X would make the experience much more immersive. 3) An Apple Watch app. This would be a great place to offer feedback while the user’s eyes are closed. 4) Siri support to start a new session without needing to locate the app.